Over the next few years we'll see how conversational UI patterns blends in as a way of communication between human and computer. In the coming years, you will increasingly see apps, dashboards, or webshops that interact in the form of conversations. This pattern brings life into software because talking to a machine like a human feels more natural than clicking mere buttons. You've been browsing a webpage, webshop or other software (for example, your email program) with your mouse over the screen because you do not know exactly where to find what you're looking for, what's expected of you as a user and Then you can perform certain actions. The so-called conversational user interfaces (CUIs) provide a great deal of inspiration for how numerous online services can be redesigned with an interface that is many times more human and accessible. Just say what you want and get a good response. 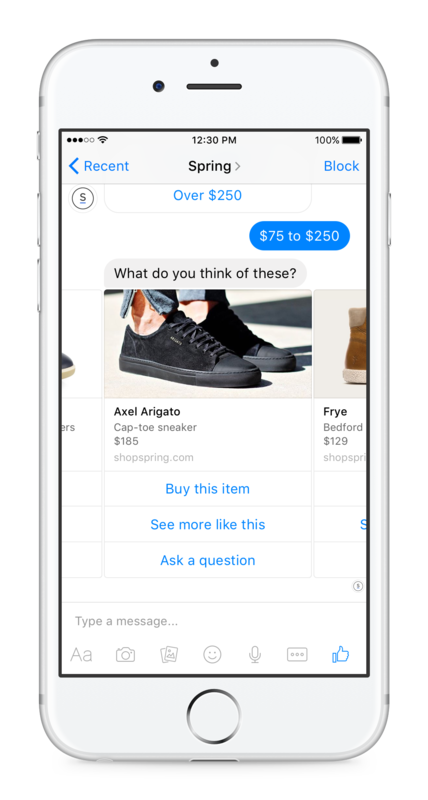 Facebook shows off conversational UI for e-commerce. The idea that entrepreneur is now coming up with is perhaps: This is too complex and too high for my business. But fortunately, 2016 is the year in which complex, artificial intelligence-driven software is increasingly accessible to the masses. That's a good thing, because a saturated market is a matter of continuing to renew, and for many companies it is therefore a big challenge to distinguish. See here an excellent opportunity to stay ahead of your competition and provide your customers with a great and above all human customer experience. But how do you do that? There is now a range of tools that allow you to create chat chats using drag & drop schedules for your webshop or platform (and that does not necessarily have to be Facebook). You can specify which options you want to make available, and specific questions that can not be processed automatically can then be answered by a human social media or customer service representative. Thinking of building a Chat Bot? At Cloudrocket, we are advancing with innovations that benefit the user experience of apps, websites and software. 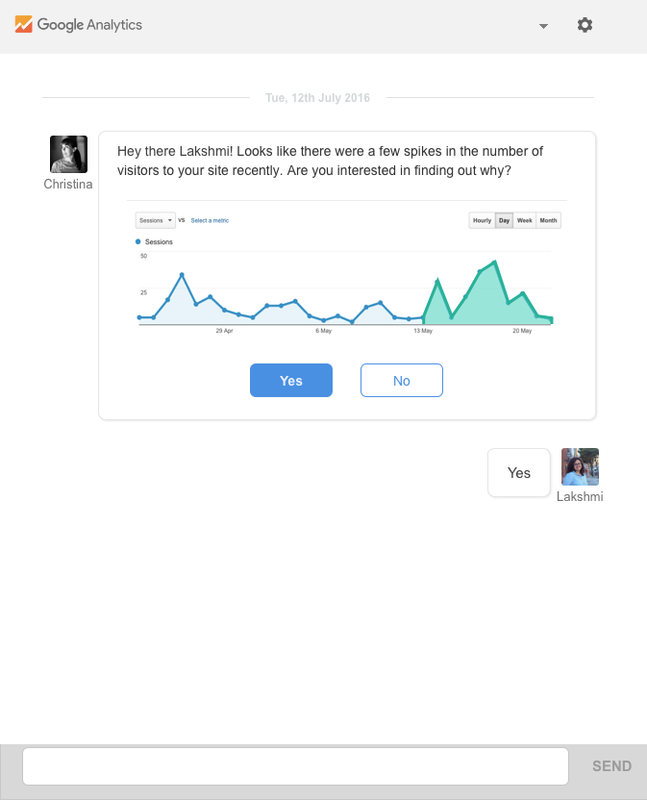 We already do this with sophisticated user interface design, but gradually it becomes clear that conversational interfaces will shift the focus from buttons and lists to a more streamlined way of interacting through conversations. Curious about how this can be applied to your start-up or organization? Please let us know, we'd love to exchange ideas! Call Nick, he'll tell you all about how it could work for your business. Just like 200+ other visionaries and Talent Network Members. We're not in the business of sending spam. Big data increasingly becomes accessible to startups and organisations. In this article, we'll show you the added value for your business.